I have just creaed a dairy farming financial calculator to calculate profitability and financial feasibility in setting up a medium scale dairy farm. I have tried to incorporate all possible aspects involved in dairy farming but due to application limitation few calculations can be expected in future version. 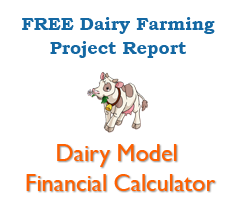 Feel free to use this calculator to create your dairy farming project financial report and share your thoughts.